The origin of one of the most deadly malaria parasites has been traced to Africa around 300,000 years ago. The parasite, Plasmodium vivax (P.vivax), is the second worst malaria parasite for humans and was previously believed to have originated from Asia. According to the Broad Institute, P.vivax accounts for the majority of cases of malaria outside Africa, affecting up to 100 million people annually. It is also thought George Washington and Abraham Lincoln were infected with the parasite and that it contributed to the death of Genghis Khan. Researchers from the University of Pennsylvania have now found wild apes living in central Africa are widely infected with parasites that are genetically identical to P.vivax in humans. Their findings contradicts the longstanding belief it originated in Asia, a theory held as it is the most prevalent form of the disease there now. The team tested over 5,000 ape faecal samples from animals in Africa and found P.vivax-like parasites in chimpanzees and gorillas, with a particularly high prevalence in wild populations. Researchers say their finding also solves questions about how a mutation providing resistance to P.vivax occurs. To test the evolutionary relationship of the parasite between apes and humans, the scientists generated DNA sequences from wild and sanctuary apes, along with global samples of infections in humans. They found the ape and human parasites were very similar, but that the ape variety was more diverse, noting that P.vivax is endemic in gorillas and chimpanzees in Africa. This led them to conclude that the parasite originated in Africa evolving from a single ancestor and spreading out. Of the five species of parasites known to cause malaria in humans, P.vivax is most prevalent. However, it is largely absent from central Africa because of a mutation causing the Duffy-negative phenotype in indigenous people. The parasite is believed to have contributed to Genghis Khan's death. In people without the mutation, the parasite enters red blood cells through the Duffy protein receptor. 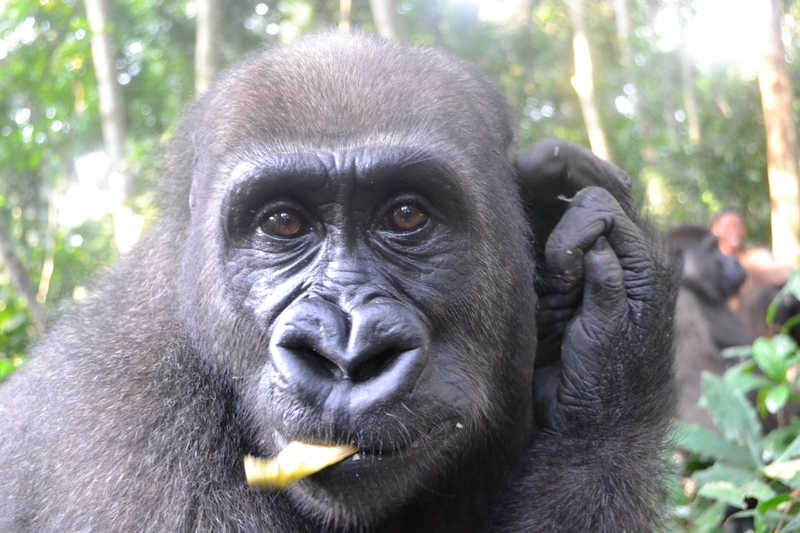 Beatrice Hahn, one of the study's authors, said: "Our finding that wild-living apes in central Africa show widespread infection with diverse strains of P.vivax provides new insight into the evolutionary history of human P.vivax and resolves the paradox that a mutation conferring resistance to P. vivax occurs with high frequency in the very region where this parasite is absent in humans." Paul Sharp, from the University of Edinburgh, added: "One interpretation of the relationships that we observed is that a single host switch from apes gave rise to human P.vivax, analogous to the origin of human P.falciparum (the most deadly malaria parasite). However, this seems unlikely in this case since ape P.vivax does not divide into gorilla and chimpanzee-specific lineages." Researchers believe P.vivax could infect humans, gorillas and chimpanzees until the Duffy negative mutation spread around 30,000 years ago. Researchers say the parasite has the potential to spread to countries where human P.vivax is actively transmitted. Martine Peeters, who also worked on the study, added: "The existence of aP. vivax reservoir within the forests of central Africa has public health implications. First, it solves the mystery of P. vivax infections in travelers returning from regions where 99% of the human population is Duffy negative. "It also raises the possibility that Duffy positive humans whose work may bring them in close proximity to chimpanzees and gorillas may become infected by ape P. vivax. This has already happened once and may happen again, with unknown consequences."